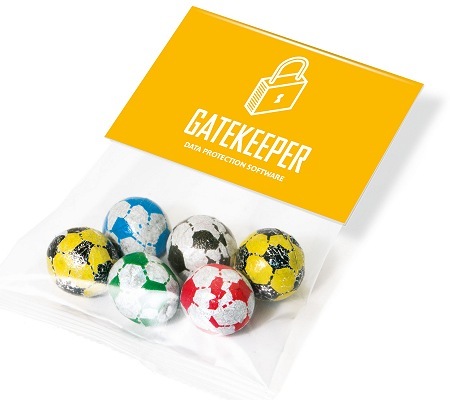 A logo printed Info Card with an extra-large header and clear bag filled with 6 Chocolate footballs. Once the sweets have been devoured the card can stand on a desk displaying your information. Kick off the next football championship or footie event.